•Sunshine mini pattern from Tied With a Ribbon •Hand selected fabric needed to make the pattern. 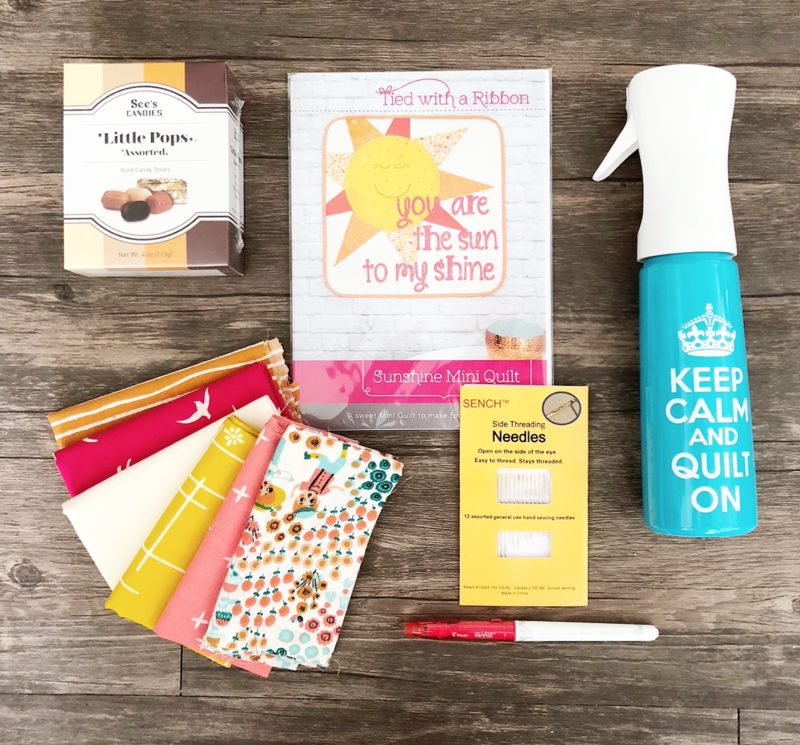 The fabric is Birch Fabric's 100% organic cotton •"Keep Calm and Quilt On" Stylist Spray bottle •FriXion pen. This is a gel ink pen that will disappear with heat! •SENCH brand side-threading needles •See's Candies "Assorted Little Pops"